June 30, 2014  The president's announcement that he would shift immigration enforcement resources to the Southern border failed to placate anyone. June 30, 2014  Fiery Ecuadorean President Rafael Correa had sworn that his current term, his third, would be his last. But his ruling party is now moving to remove constitutional term limits, potentially opening the door to a fourth term. June 30, 2014  During his lifetime, legendary Colombian drug lord Pablo Escobar assembled as a status symbol a private zoo, which included four hippos. In the 20 years since his death, far from their natural home in Africa, Escobar's hippos have multiplied in the wild. Veterinarian Carlos Valderrama talks to Robert Siegel about the hippos and the challenges they're presenting Colombians. 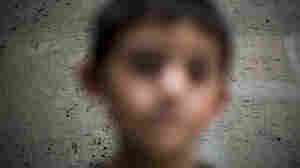 June 30, 2014  The huge numbers of illegal migrant children has overwhelmed detention center. 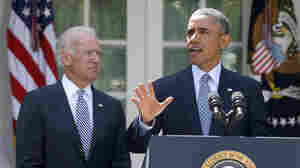 His request comes at a time when GOP leaders say Obama's idea of flexibility means taking the law into his own hands. June 29, 2014  In 1994, star player Andres Escobar was killed just weeks after he scored an own goal in the Cup. NPR's Arun Rath speaks with Colombian-American journalist and novelist John Rojas about the crime. June 29, 2014  The host nation's team lives to play another day after a riveting match Saturday against Chile. The game was decided by a tie-breaking shootout, with a final score of 3-2. June 28, 2014  Federal authorities have been looking around the country for places willing to house the thousands of children flooding the Southern border. June 28, 2014  The pope was a young priest during his nation's "Dirty War." Journalist Alma Guillermoprieto talks with NPR's Scott Simon about Francis' controversial history and her article "Francis's Holy War." June 28, 2014  Handmade rebozos and huipiles are staples of traditional Mexican attire. Designer Carla Fernández re-imagines those garments for runways in Tokyo and Amsterdam. Go To Cuba, We Said, But NO Car Pictures. 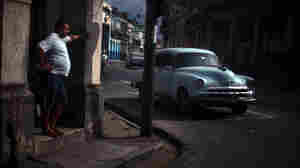 June 28, 2014  NPR photographer David Gilkey went to Cuba and made images of the one thing his editor told him to avoid: cars. June 27, 2014  Luis Suarez's sponsors are dropping him and his 2014 World Cup is over. FIFA dealt the Uruguayan soccer player an unusually harsh sentence for biting his opponent, and his home country is outraged. June 27, 2014  The U.S. men's soccer team moves on to the World Cup's round of 16. They lost to Germany, but advance because Portugal beat Ghana. The team will get to rest a bit before playing Belgium on Tuesday. June 27, 2014  David Greene met with two journalists on his trip to Cuba. One hosts a show at a state-run radio station. The other runs an independent news agency and distributes material by hand and USB drive.